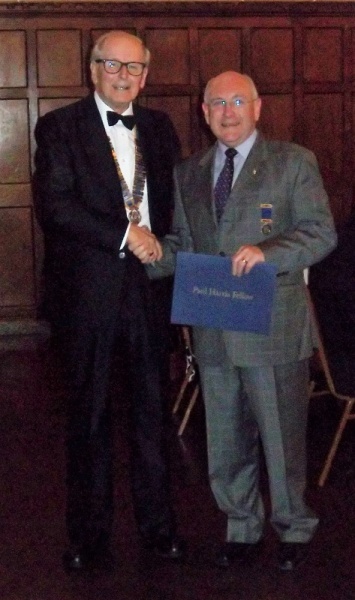 President James welcomed his fellow Club Presidents, members and guests to President's Night at St Augustine's. District Governor, Peter West, Rotarians and guests enjoyed a splendid President's Night Dinner & Dance at St Augustine's to celebrate a very successful Rotary year. After a delicious meal (Menu: Trio of Melon & Summer Fruits; Roast Sirloin of Beef/Twice-baked Cheese Soufflé; Lemon cheesecake) President James got things off to a good start by announcing that there would be no long speeches (apart from his own!) and spent a few minutes thanking various people for their support during his Presidential Year. He then told a little known story about one member who, we learnt, holds the record for being the longest serving President in the District. Ivor Seyler was President-Elect in 2003-4 but circumstances arose which meant that the Club invited him to become President six months early and so Ivor served as President for 18 months through 2004-5. Later on, Ivor also served for many years as Club Treasurer. President James then announced that Ivor has been awarded a Paul Harris Fellowship in recognition of his long and excellent service to the Club and the Community. 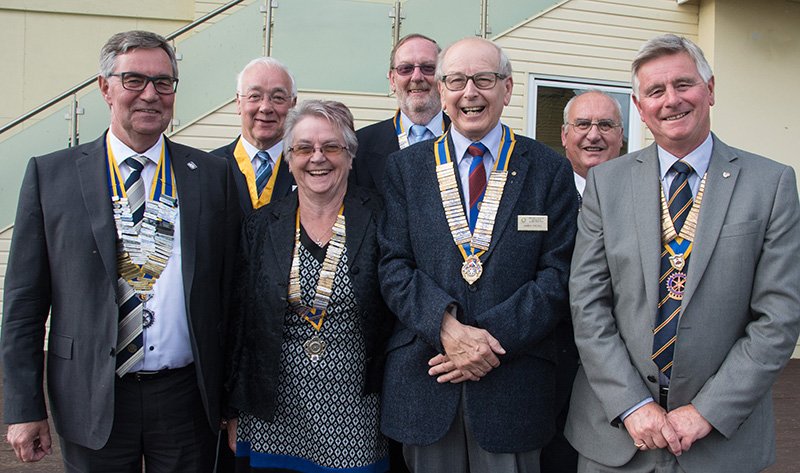 President James then went on to describe quite a long list of activities which had been the responsibility of another member, ranging from Club Treasurer to Webmaster and conductor of the Rotary & Inner Wheel Choir; Chris Hedges was also President from 2012 - 13. President James then announced that Chris has been awarded a Paul Harris Fellowship in recognition of his wide-ranging service to the Club and the Community. Once these presentations had been made, President James introduced Azaria Bradley to the assembled company. Azaria has been selected to represent the United Kingdon in the World Hip-Hop Dance Championships in the USA and the Rotary Club of Westgate & Birchington is delighted to sponsor Azaria as she prepares for this great honour. In order to "earn" her sponsorship Azaria agreed to give a demonstration of her dance routine and everyone present was not only amazed at the outstanding demonstration but disappointed that President James didn't join Azaria in the dance!